On February 22, First Focus Campaign for Children and the National Diaper Bank Network submitted a letter to U.S. Representative Keith Ellison and U.S. Representative Rosa DeLauro for their support of the Hygiene Assistance Act of 2017. 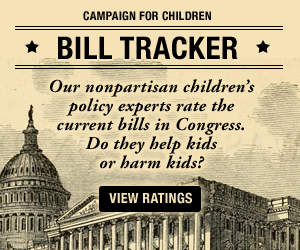 Nearly half of infants and toddlers in the U.S. are living in low-income families. This means that over 5 million young children are living in families that have a hard time covering the cost of their family’s basic needs, including diapers for their young children. The Hygiene Assistance for Families of Infants and Toddlers Act of 2017 (H.R. 1143) will give states flexibility in developing and implementing their program. 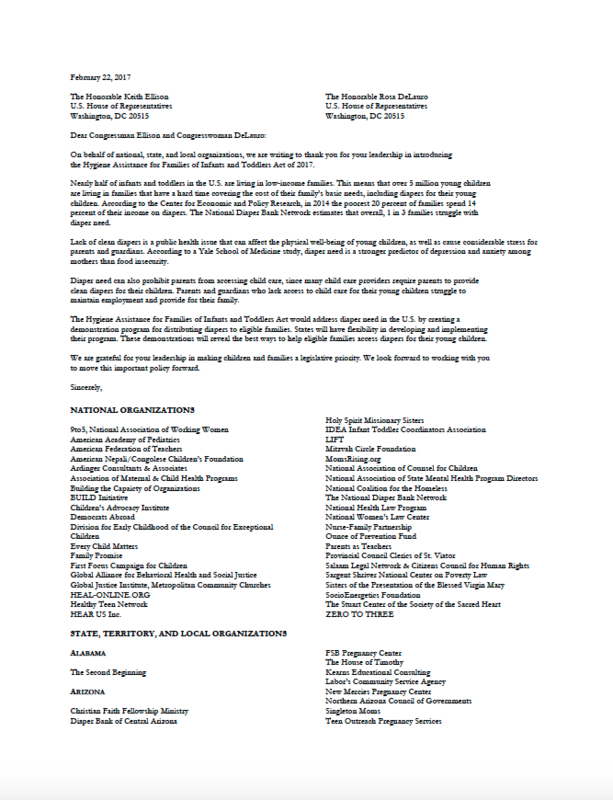 More than 240+ organizations joined First Focus Campaign for Children and the National Diaper Bank Network in thanking the representatives for their support.